Mesa Flyer-Can You Find The Lap? ASTM E1680/E1646 - 238T 12"
ASTM E1680/E1646 - 238T 16", 18" & 24"
ASTM E1680/E1646 - MasterLok 90 22 Ga.
ASTM E1680/E1646 - MasterLok 90 24 Ga.
ASTM E1592 - FW 24 Ga.
ASTM E1592 - Marquee-Lok 22 Ga.
ASTM E1592 - Marquee-Lok 24 Ga.
ASTM E1592 - MasterLok-90 22 Ga.
ASTM E1592 - MasterLok-90 24 Ga.
ASTM E1592 - MasterLok-FS 22 Ga.
ASTM E1592 - MasterLok-FS 24 Ga.
ASTM E1592 - Matrix 24 Ga.
ASTM E1592 - Maxima 1.5 16" 24 Ga.
ASTM E1592 - Maxima 216 22 Ga.
ASTM E1592 - Maxima 216 24 Ga.
ASTM E1592 - Maxima 218 22 Ga.
ASTM E1592 - Maxima 218 24 Ga.
ASTM E1592 - Maxima 318 22 Ga.
ASTM E1592 - Maxima 318 24 Ga.
ASTM E1592 - Maxima 324 22 Ga.
ASTM E1592 - Maxima 324 24 Ga.
ASTM E1592 - Maxima ADV 216 24 Ga.
ASTM E1592 - Medallion I 12" 24 Ga.
ASTM E1592 - Medallion-Lok 16" 22 Ga.
ASTM E1592 - Medallion-Lok 16" 24 Ga.
ASTM E1592 - Medallion-Lok 18" 22 Ga.
ASTM E1592 - Medallion-Lok 18' 24 Ga.
ASTM E1592 - Mega Rib 24 Ga.
ASTM E1592 - Mirage 24 Ga.
ASTM E1592 - Mirage 26 Ga. In order to demonstrate how our products have been used, we offer project case studies that showcase outstanding results at job sites of all kinds. We have found that reading about someone’s challenges, and the solutions to those challenges, can be a powerful idea generator for your next project. We encourage you to look through the case studies above, find the specific information that you need, and download it for future use or reference. At McElroy Metal, we’ve been providing high-quality metal components since 1963, when our founder first began working out of our original site. Today, in addition to our Bossier City headquarters, we offer 12 manufacturing and several service centers nationwide. This national footprint means we can better respond to your real-time needs, providing valuable access to a wide range of metal components that are essential to your project’s success. While we’ve grown a great deal since we first went into business in the 1960s, we remain a values-oriented, customer-focused business that still feels like a local metal shop. We haven’t lost our ability to get to know our customers and anticipate their needs. 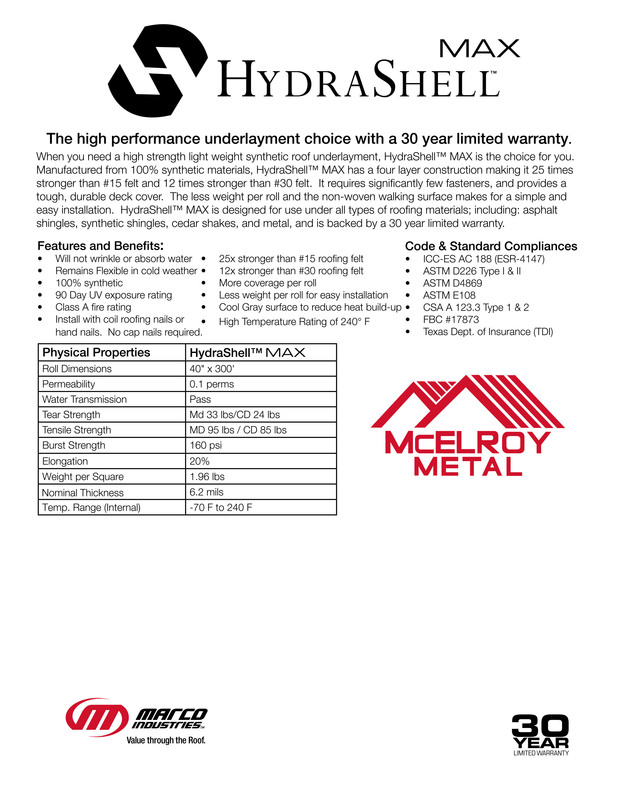 When you choose McElroy Metal for your company’s metal needs, you get the quality, durable, attractive components you need, as well as industry-leading customer service that seeks to be a boost to your work. Our selection of products includes: specialty roofing panels, sub-structural products, curving systems, onsite rollforming, exposed fastener panels, standing seam systems, retrofit systems, canopy panels, concealed fastener wall panels, soffit panels, slit coil and flat sheet, insulated metal panels and much more. 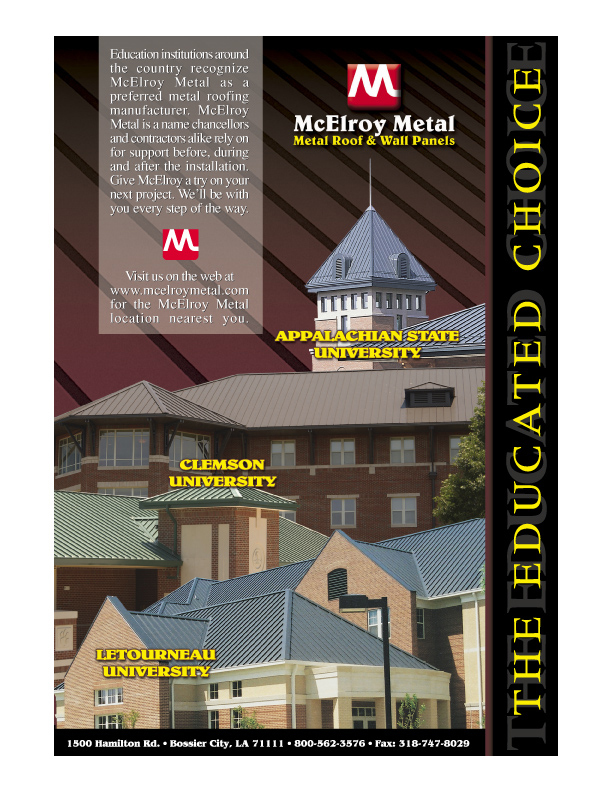 And you can always find a McElroy Metal service or manufacturing center in your region, strategically located to be available to customers nationwide. We’re where you need us to be, offering the products you need to excel in your work. Take a look at the downloads above as you seek out more in-depth information. Also, keep in mind that computers can sometimes open a file that’s stored in cache. When opening a file that you’ve already opened once, it may be necessary to refresh the page before opening again for the latest information. Don’t see what you’re looking for? You can always reach out to us directly for more information. Our customer service representatives are available to answer questions or provide expert guidance as you consider your metal product options. You’re never alone when trying to secure the perfect metal components for your next project. 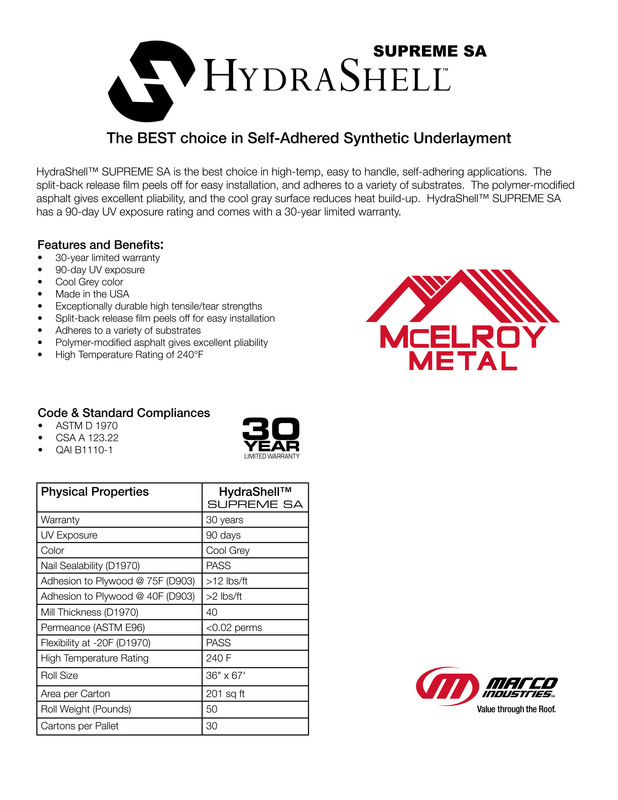 Browse our downloads above, or reach out to McElroy Metal today.